TISDAL & O'HARA has been selected to the 2016 Edition of "Best Law Firms", which is published by U.S. News & World & World Report and Best Lawyers. Luke Adams was appointed to the Oklahoma Bar Journal Board of Editors, which reads and selects articles to be published in the Oklahoma Bar Journal and chooses the recipient of the Golden Quill Award presented at the Oklahoma Bar Association Annual Meeting. Mart Tisdal was recently named chairman of the Oklahoma Attorneys Mutual Insurance Company (OAMIC) board for the 2016-17 term. Mart has served on the OAMIC Board of Directors since 1995. Patrick O'Hara, Jr. was named to the Oklahoma Bar Foundation Board of Trustees. The Oklahoma Bar Foundation (OBF) is a nonprofit organization founded in 1949 by members of the Oklahoma Bar Association (OBA) to accomplish law-related charitable good works statewide. 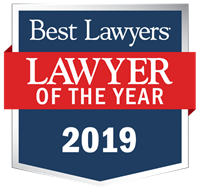 ISDAL & O'HARA has received a Tier 1 ranking in the 2015 Edition of "Best Law Firms" rankings, which is published by U.S. News & World & World Report and Best Lawyers. Clinton attorney Mart Tisdal was recently recognized as the 2013 Eugene Kuntz Award recipient at the annual Eugene Kuntz Conference on Natural Resources Law and Policy in Oklahoma City. Mart Tisdal was appointed to serve as vice chair of the Oklahoma Attorneys Mutual Insurance Company (OAMIC) board for the 2013 term. Mart has served on the OAMIC Board of Directors since 1995. 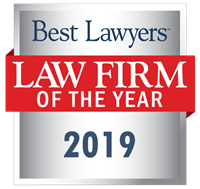 TISDAL & O'HARA is pleased to announce that it has received a Tier 1 ranking in the 2013 Edition of "Best Law Firms," published by U.S. News & World Report and Best Lawyers. Luke Adams was selected to serve as a member of the Oklahoma Bar Association Young Lawyers Division Budget Committee. Mart Tisdal has been named to the 2013 edition of Best Lawyers in the categories of Oil and Gas Law and Mass Tort Litigation / Class Actions - Plaintiffs. Mart Tisdal has been named to the 2012 edition of Best Lawyers in the categories of Oil and Gas Law and Mass Tort Litigation. Mart Tisdal and Patrick O'Hara were named Oklahoma Super Lawyers. Only five percent of lawyers in each state receive this annual award.